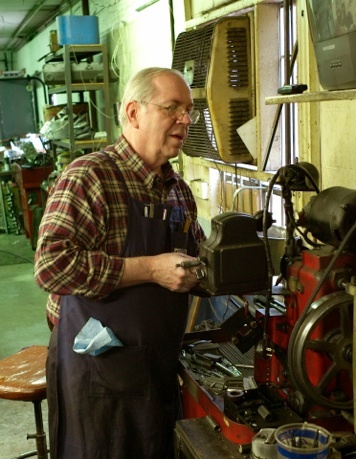 Bill (Apex Engineering, Bensenville, IL) is the classic machinist – thoughtful, precise and very busy. 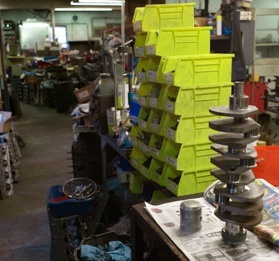 He does all the unusual automotive machining in the area, be it current or the odd Maserati race car and Ferrari in the Chicago area The quality of his work is exemplary – there is little he doesn’t know. 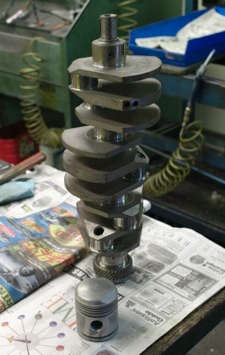 He’s made some progress on the B20 – the liners are out and cleaned. He’d prefer to reuse the original liners, as he had some problems with remade Alfa liners. 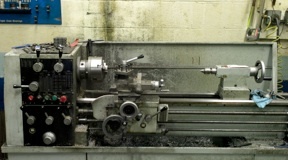 The heads have been pressure tested and passed, the crank has been magnafluxed, and the pistons have been measured up for new ones to be made by J&E in California. We’re hoping to find head studs – otherwise we’ll have ARP make some up. The rest of the bits look good. We’ll probably install a rear crank seal on the motor, which requires some modification to the end of the crank. 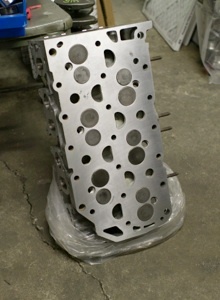 Also, if the block is decked (maybe some 10 thou of an inch), he’ll have to lower the liners too. 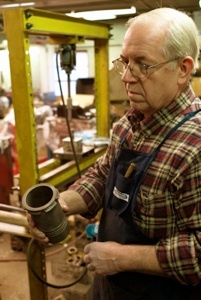 As the top of the liners are each stamped as to which cylinder they are for, he’s considering milling the supporting ridge on the liner to lower them in the block. Interestingly enough, the cylinders are also stamped with the firing order number in the head, right in the combustion chamber. The heads and pistons are dated, 1952. 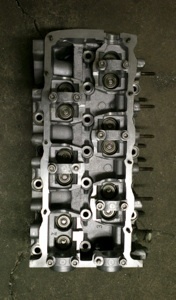 The heads are very open – full of good cooling area, and rather remarkable castings. They are in good shape, altho a bit of repair here and there will be needed. We had a good time talking about Lancias, and he showed me the Volkswagen narrow angle V6. It looks like a current version of a Lancia motor that they didn’t quite ever make – Lancia had 4’s and 8’s, but the narrow V-6….maybe that’s yet to come. Pretty interesting. 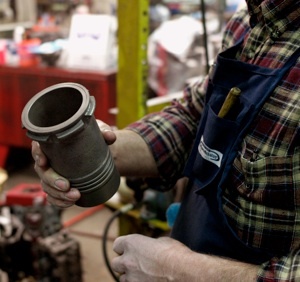 below – he’s also working on the current Volkswagen narrow V-6: the cast iron block is like an Astura, but with only 6 cylinders (or an Appia with 2 extra!). 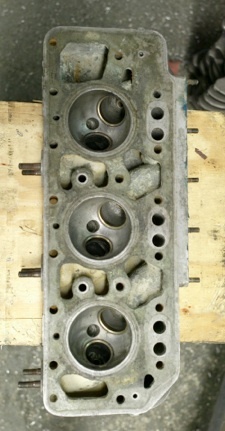 The alum head (left and center) has the combustion chambers in the pistons; the little half-moons in the head are water circulation passages. 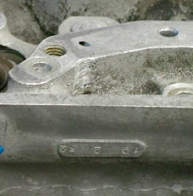 Note the complex casting on the top of the head and the simple machining on the bottom. Aluminum head with lots of water passages, and angled valves. Head has a date on it of 19 2 52, probably a February casting. Interesting to have such an early date in 1952. Note the billeted crank, in good shape. Shop is rather full with other stuff.